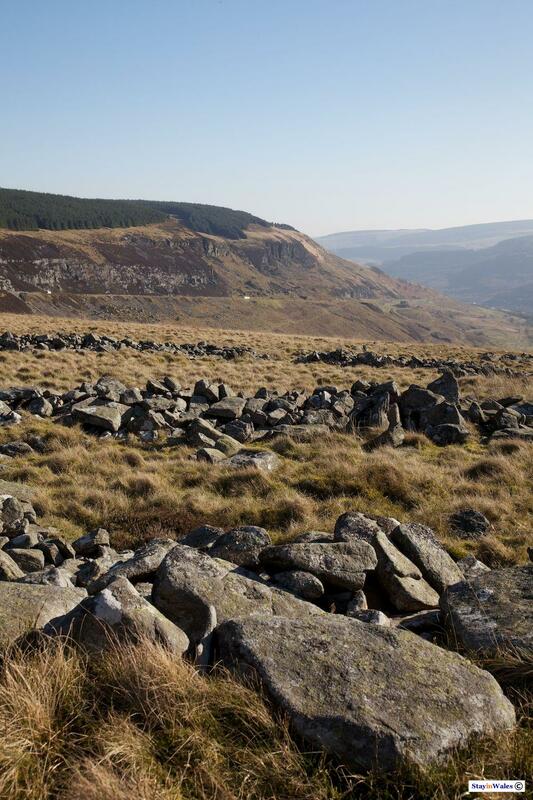 At the head of the Rhondda Valley, easily accessible from the Forestry Commission 'Hendre'r Mynydd' parking area, are circles of stones which were once an iron age settlement. An excavation of the site in the 1920s discovered some iron and leather remains, but it was not possible to date these. Pottery found at a similar site dated from the 1st to 3rd Century AD, so it's possible that this village was inhabited until Roman times, perhaps as a 'hafod', a 'summer home' in Welsh.